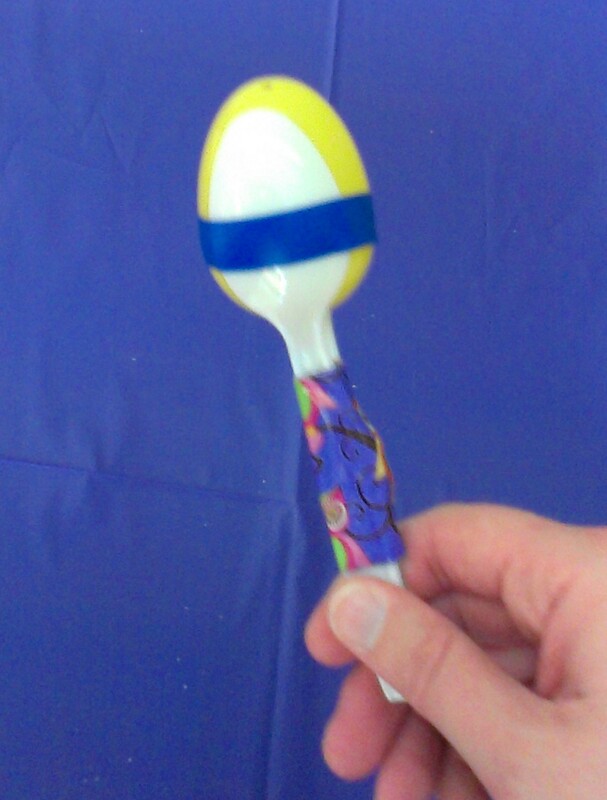 If you’re looking for an easy, last minute Easter craft here’s one! 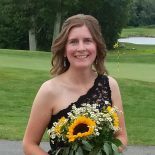 I did a special spring program for my preschoolers and they loved it! Pour the Cheerios in the cups. I made sure to be generous. Of course the little ones are going to have a snack while they’re working! Cut strips of duct tape and electrical tape. Stick them to the wall or edge of the table. 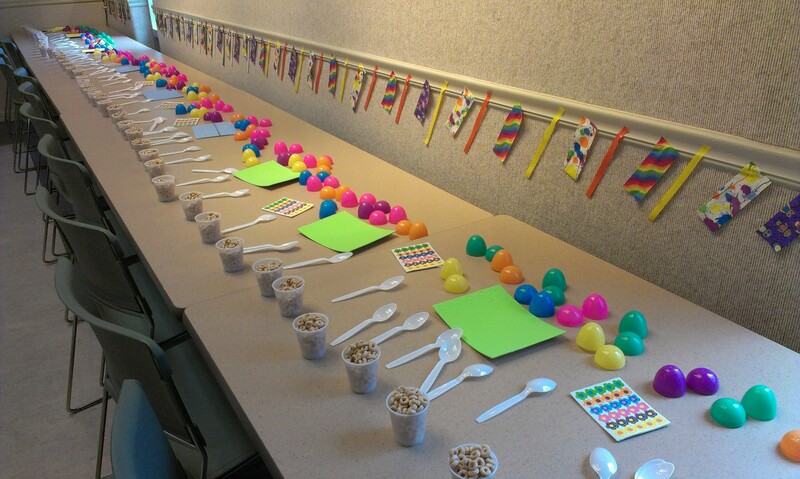 Place spoons, eggs, Cheerios, and stickers on each table. Highlight your music collection for checkout! 1. 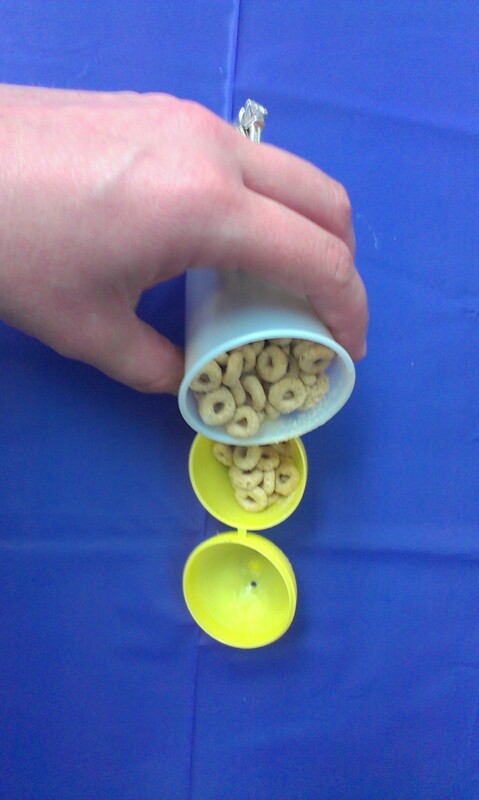 Add Cheerios to fill egg. Close egg tightly. 2. 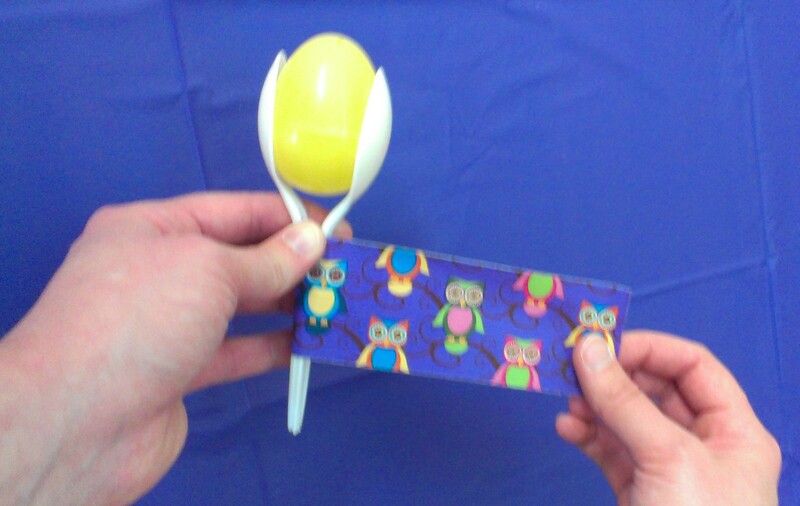 Place egg between two spoons and wrap handles with duct tape. 3. 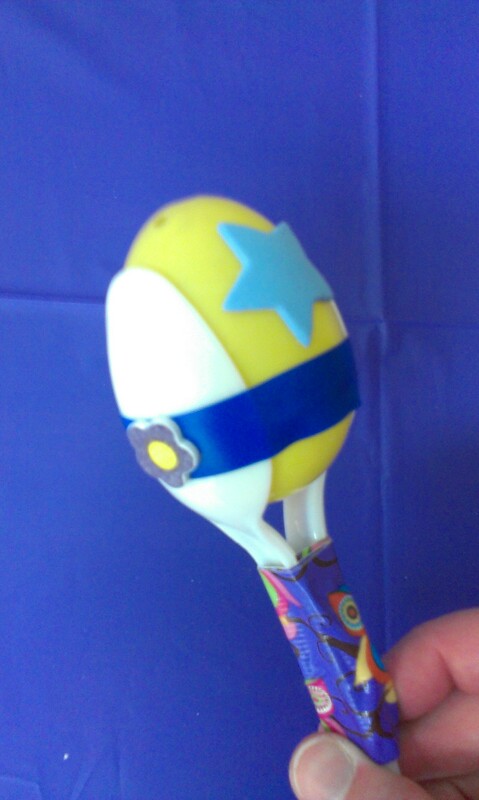 Place electrical tape over the egg and hold spoons and egg together. 4. Decorate with stickers and shake away! I taped directions all over the room, and gave parents a crash course before we got to work. I played music during the program so as children finished, they could dance around with their new instrument. I always have extra, so some children make extra for their siblings, cousins, or friends who they will be seeing for the holiday. For more preschool ideas, check out Lisa’s Libraryland. She’s hosting the weekly Flannel Friday roundup this week. These are ‘eggsellent’! Happy Easter! Thanks for sharing such a cute idea! Haha, thanks! My families really enjoyed this idea. A lot of them were going to go to the local craft store after storytime to get materials to make them with their families for the holiday weekend (a lot easier than dying eggs!). 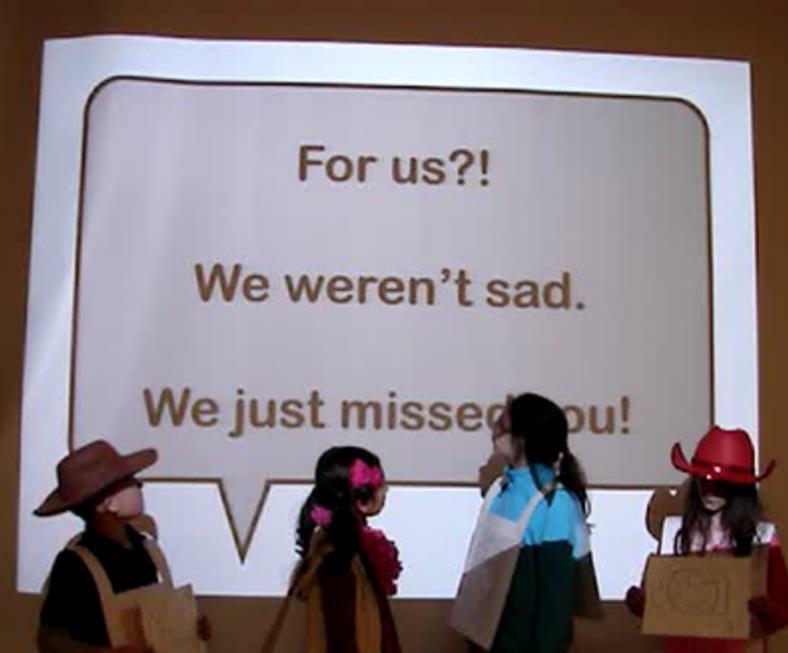 This entry was posted on April 16, 2014 by mrsshaia in Easter storytime, Flannel Friday, Preschool holiday program, Spring storytime, Using Music in Storytime and tagged Easter storytime, Flannel Friday, Preschool holiday program, spring storytime, Using Music in Storytime.